White fruit of the loom heavy cotton shirt with black print and the Gold logo up front, nothing on the back.. simple and easy. 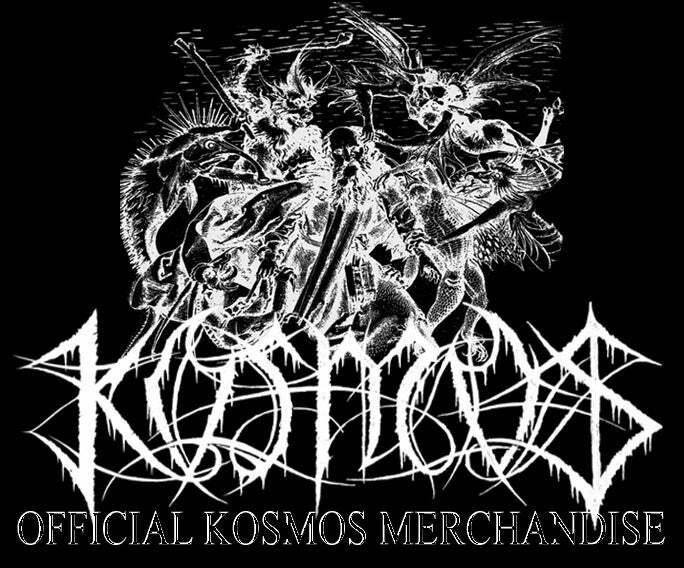 Kosmos is a project which reveals, in a black metal way, the human horror, as egocentric as it can be, and the balance of power it threatens all the time. Kosmos suggests to know the Truth, to touch reality, even if it would burn himself.